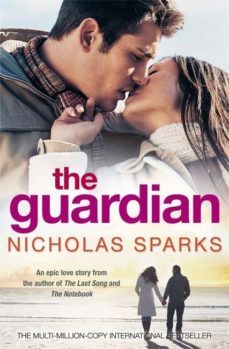 Swept off your feet and into a nightmare... A powerful blend of love story, betrayal and obsession, The Guardian is written with electrifying intensity, playing with your emotions at every turn. Widowed at a young age, Julie understands the pain that comes with love and has avoided romance for a long time. As she eases herself back into the dating scene, her eye is caught by the darkly sophisticated Richard, as he begins a passionate pursuit of her affections. But she is still confused by her feelings for best friend Mike: funny, loyal, but definitely not sophisticated. A seemingly innocent choice sets off a deadly chain of events that leaves Julie fighting for her life, as jealousy simmers into murderous desire.